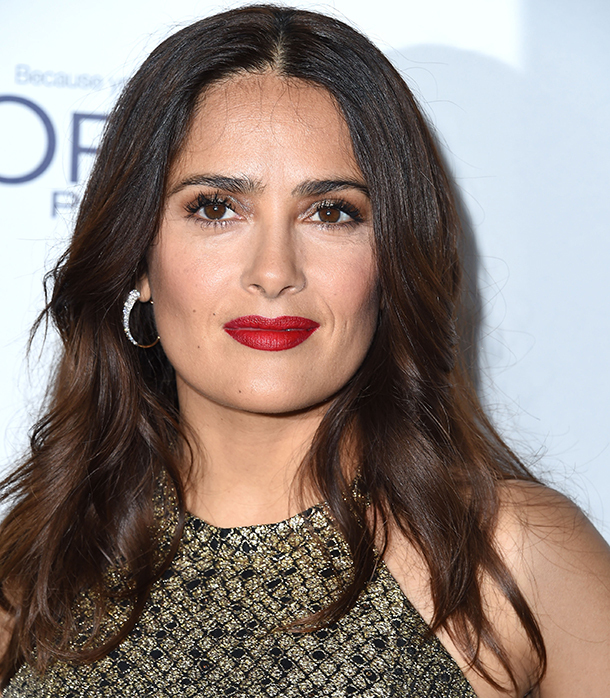 Elegant hairstyles and bold lipstick clearly resonated with the Hollywood crew this week. From braided buns to deep berry lipstick, these beauty statements from Beyonce to Dakota Johnson to Zoe Saldana made us stop in our tracks. It makes sense, though—bright lipstick and updos and are two looks even we gravitate towards for our own extra-special occasions. Check out our 10 favorite hair and makeup moments below. Zoe Saldana‘s makeup artist Vera Steimberg used L’Oréal Paris Colour Riche Collection Exclusive in Zoe’s Red ($6, target.com) to create this lip look. Instead of applying the color straight from the bullet, Steimberg dabbed it onto Zoe’s lips with her fingers. Dakota Johnson wore her bob-length hair in a twisted chignon for the ELLE Women in Hollywood event, finishing off her beauty look with matte berry lipstick (need!) and lots of lashes. Updos don’t have to be perfect and stiff—that’s totally antiquated. Kate Winslet updated the look with lots of texture and volume. Doesn’t it kind of look like she crimped her hair before pulling it back into a low bun? Krysten Ritter paired her glossy wine-hued lipstick with groomed brows and a simple blowout on the red carpet for a Netflix event. It’s not exactly what we wear when we binge on Netflix, but we’ll take the gorgeous inspo. Expect to see way more high ponytails outside of the gym—Beyonce is making it a must-try formal hairstyle. She wore her signature version to the TIDAL X: 1020 Amplified by HTC concert this week. 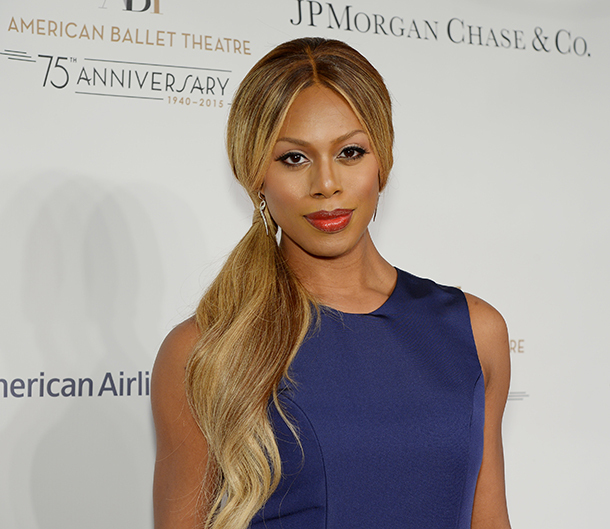 Laverne Cox wore a glamorous low ponytail to the American Ballet 75th Anniversary Fall Gala, giving us yet another reason to update our standard pony. Glossy red lips, glowy skin, and black eyeliner pulled together the entire look. 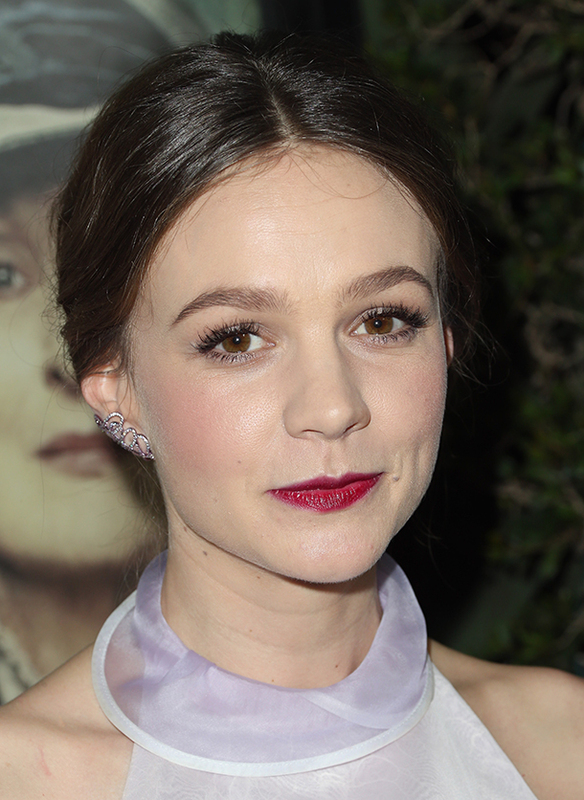 Carey Mulligan has been on our radar with her red carpet beauty looks. Last week, we raved about her Hollywood glam curls, but now we’re especially intrigued with this berry lip stain and her rosy cheeks. Karlie Kloss balanced out her messy braided updo with a satin red lipstick shade for the Pencils of Promise Gala. “Entourage” star Emmanuelle Chriqui‘s deep vampy lip color is the color to wear this season. To get a similar look, try Aveda’s Nourish-Mint Smoothing Lip Color in Blackberry ($17, aveda.com).